Have a birthday or special event coming up this Easter? Do you know somebody who loves the idea of trying rally driving? 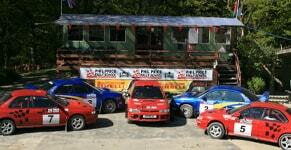 Phil Price Rally School are renowned for our epic driving days which pack in plenty of action. We’ve been in the business since the early 1980s and have the same passion for this motorsport we’ve always had. Choose Phil Price and your loved-one will enjoy plenty of hands-on driving. One of our gift vouchers will give your friend or family member access to 7 hours of incredible driving, including tutelage from the most enthusiastic instructors. 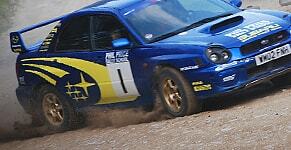 Our One Day Intense Course runs from 9.30 to 4.40pm and gives them the chance to drive on genuine rally stages. At the end of the day your loved-one can compete against other participants and have a chance of nabbing the winner’s trophy. Whether they’re celebrating their birthday, you have an anniversary coming up, or want to give a gift for somebody’s graduation, Phil Price Rally School can help you celebrate in style. Our Driving Days are also a great day out for friends and family, with spectators often finding they enjoy it just as much as the drivers! We are a founding member of BARS (British Association of Rally Schools) and have a Certificate of Excellent from Trip Advisor. Why not find out more about our driving day gifts today?